The NHL came down hard on the veteran forward for the incident that took place at 14:03 of the third period in a 4-1 loss at Boston that evened the best-of-seven Eastern Conference quarter-final at one game apiece. 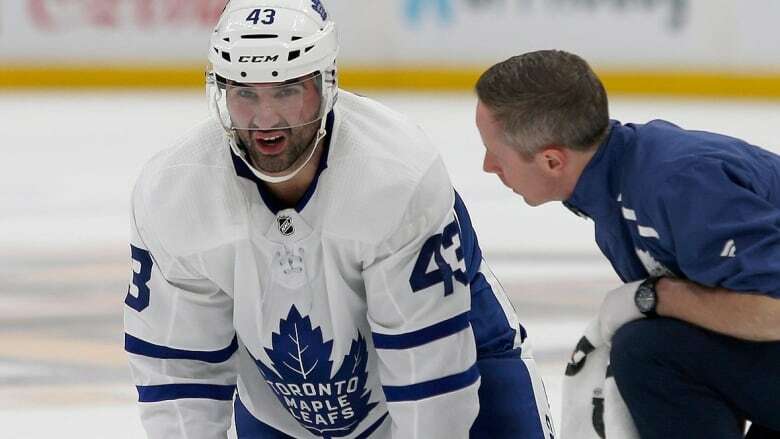 Kadri was offered an in-person hearing with NHL Player Safety in New York ahead of Monday’s Game 3 at Toronto (CBCSports.ca, 7 p.m. ET), giving the league the option to ban the 28-year-old for at least five games. It would be a five-game ban should the series go the distance. William Nylander will shift from the wing and to take Kadri’s place centring the third line with Patrick Marleau and Connor Brown. Cassidy confirmed both DeBrusk and defenceman Torey Krug, who took a huge hit from Toronto’s Jake Muzzin in Saturday’s second period and didn’t return, will play Monday.